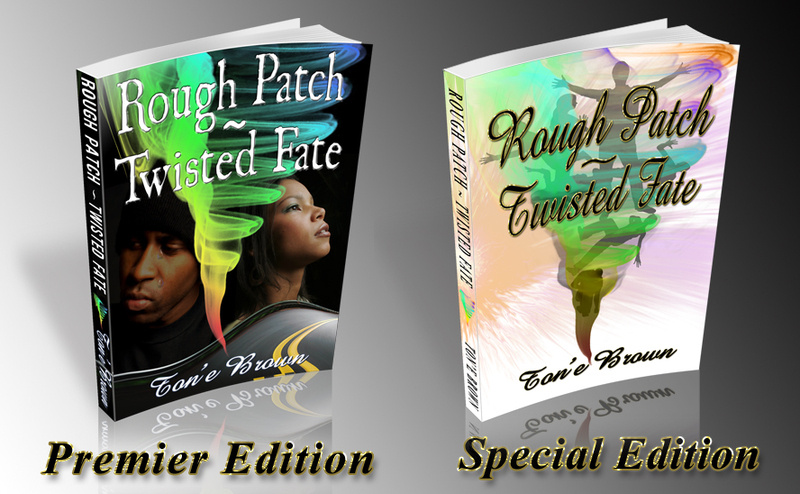 Rough Patch ~ Twisted Fate is about success, failure, dreams and disappointments, triumph and tragedy, and ultimately, about the selfless love of a young girl who encounters strangers that change the course of her life by events unimaginable. Life changing occurrences that leads to the discovery of inspiring strength, strong conviction of faith that touches the life of a young man who is encouraged by her endearing heart. This Young man discovers the true depth of what he values most after he’s forced to stand up against rapacious tycoons in order to restore his life, once he learns he’s been betrayed by identity theft causing him to become homeless in a hostile environment. Both Frances and Dell must find ways to rebuild their lives and stay true to their Godly principles they hold dear and fight the urges of avengement against their betrayers. It’s a real page turner. You will develop a strong connection with each character that will make you want to love and hate the stand out villain. 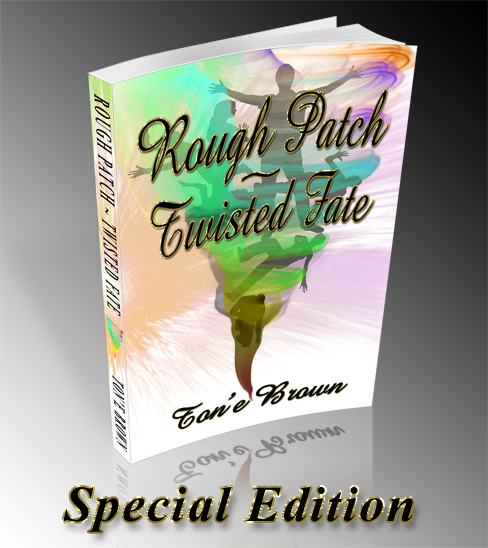 Novelist Ton’e Brown shares a captivating story that takes her readers on a whirlwind journey of Rough Patches that leads to a twisted fate that will leave you breathless. 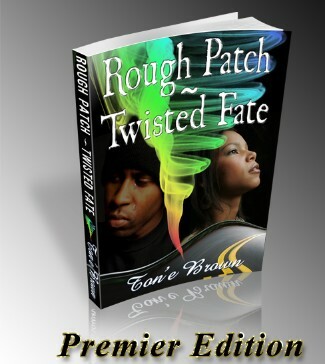 A vivid and compelling story about a young girl’s battle to face her own life challenges. The betrayal of her parents and yet finds the strength to stand strong for strangers who change the path of her life with each encounter. She also must face the violent outburst of her mother's rages and the deep rooted wounds that affects her emotional state of mind. Dell, he is a man that finds himself showing a vulnerability often hidden by men. Although living a seemingly content, well ordered life, mysterious events disrupts his way of living and he's stuck in a situation caught between two equally rapacious tycoons of a dark world that changes the course of his life. Frances White and the lives of each stranger intertwine by unexpected fates, their lives spins out of control of whirled wind events unimaginable and a journey that unfolds like a redeeming revelation. Its conclusion shows how friendship and the courage of faith can stand up to the most horrifying of circumstances, the clash of enemies and the most tragic of fates.